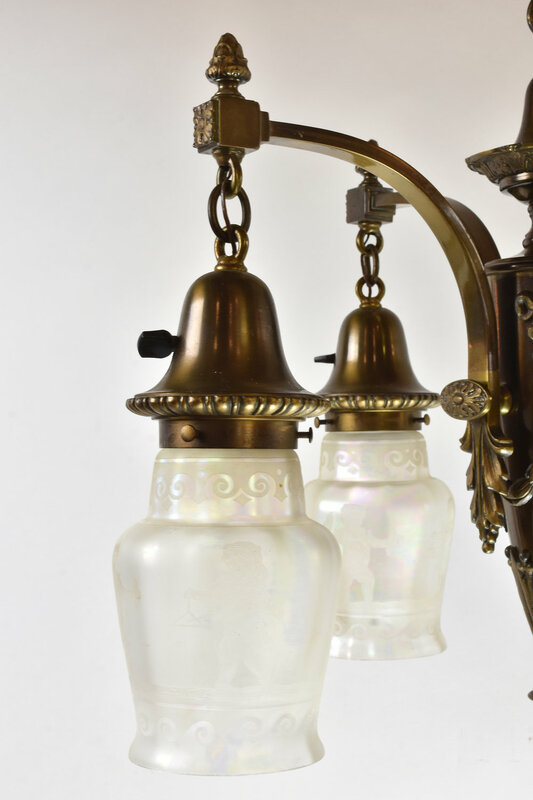 Elegant four light cast bronze chandelier with classic empire style. 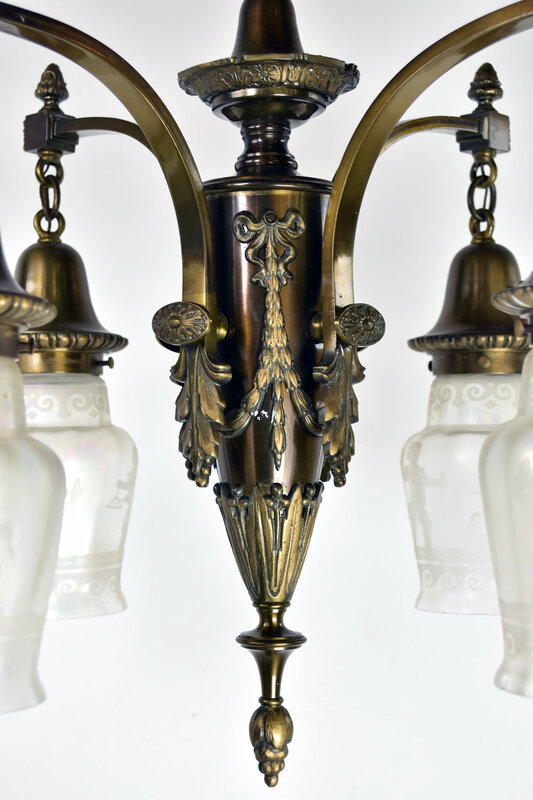 Decorative arms and leafy garland details throughout the fixture’s body. Four iridescent etched shades with musical boys and girls hang from the fixtures arms. Subtle lines on this fixture makes for great illumination. $149.99 Shipping within the continental United States. International shipping also available. Please contact us for a quote. Be sure to include the Product ID (AA#) 48064 when making your offer.